In 1967, John Lennon purchased a Victorian circus poster at an antiques shop. 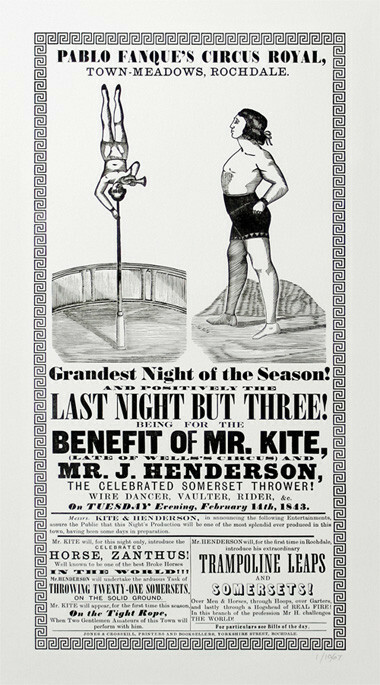 That poster later inspired him to write the song, ‘Being for the Benefit of Mr. Kite!‘, which can be found on the ‘Sgt. Pepper’s Lonely Hearts Club Band‘ album by the The Beatles. The short film titled Lennon’s Poster, by Nick Esdaile and Joe Fellows, talks about the poster and how Peter Dean and his team have lovingly recreated it using traditional methods of wood engraving and letterpress printing. 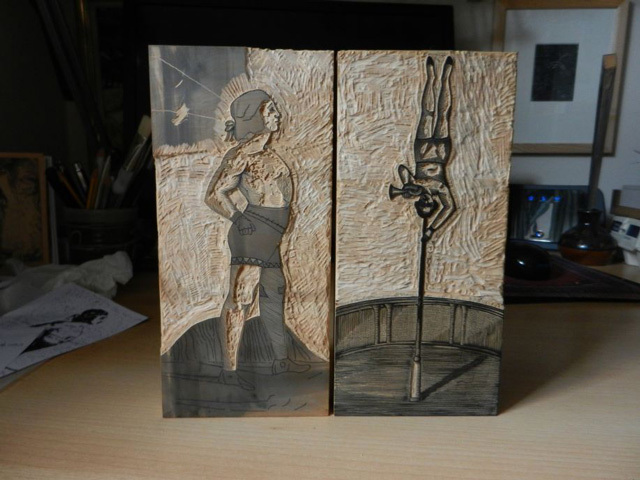 In addition to the film, wood engraver Andy English tells his part in the poster’s re-creation at his blog. 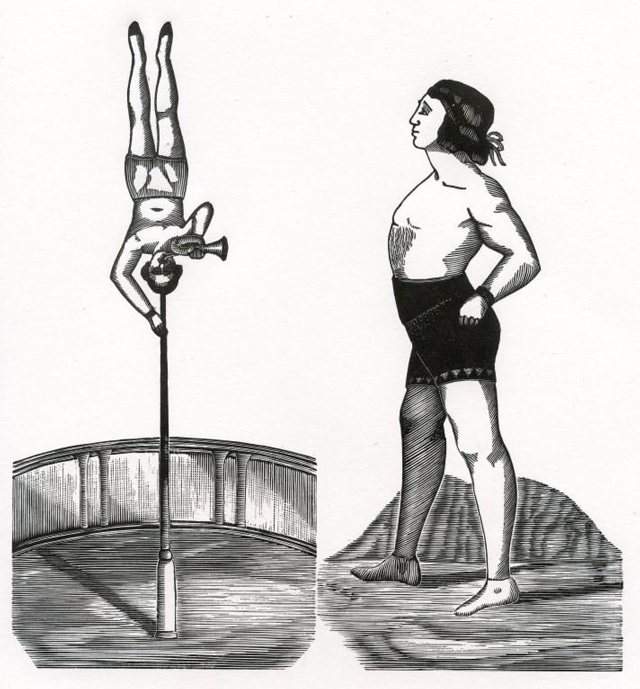 Limited-edition reproductions of the poster are available to purchase online.